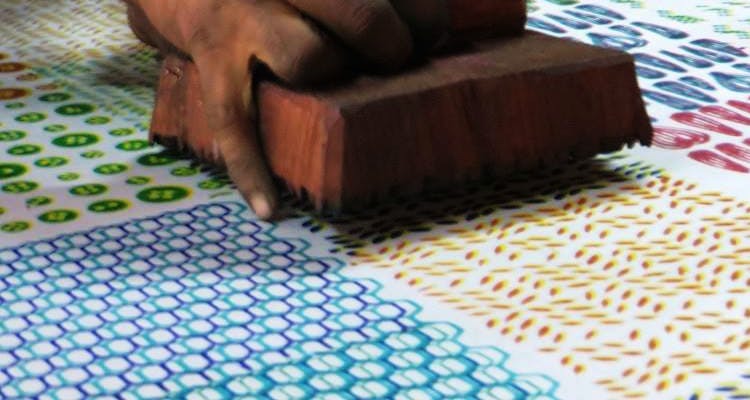 One of the last heritage block print workshops surviving in the city, Tharangini has been spreading the love for textile arts with endless bolts of hand-printed fabrics and through workshops. While learning art in Delhi, Lakshmi Srivathsa fell in love with the art of block printing. She returned to Bangalore and, in 1977, started off Tharangini, a workshop ensconced in nature and bordered by Sankey Tank, in Sadashivanagar. The studio and its workings are now taken up by Srivastava’s daughter, Padmini Govind. Tharangini prides itself as being part of a (fast dwindling) heritage block print industry. Here, each print is eco-friendly (from the dye making to the binding process) and the workshop is vocal about its fair trade policies. Drop by at their rustic studio and you are sure to be wowed by the intrinsic, painstaking process that goes into making every stretch of fabric. At one workshop, you’ll see entire walls with shelves that stack each design (they have a library of over 2,000 designs, every element of the design has been carved out of teak wood). At another, you can see artisans bent over fabric, their attention unwavering – first an outline is printed, then each motif is coloured in separately before going in for binding. When Tharangini, first launched they only dealt with silk sarees. But they have now taken on linens, cottons, knits, velvet, and blended fabrics. If you’d like any fabric printed, you only need to walk in and get involved in the entire process (they’d love that!). The studio space also houses The Jewellery Project, a partner brand that makes handcrafted silver pieces, and Sakhi, a saree house that has worked with Tharangini for decades. In order to preserve the hand-block printing industry, Tharangini holds workshops at least once a month for everyone who is interested. You can sign up and learn how to create Shibori, Tie-and-Dye, crush dye and block printing techniques. Watch their FB page for details on each workshop. Through their Outreach initiatives, Tharangini also involve children with autism and underprivileged women to learn the fading art.